For a touch of design deco in your lounge, choose this large refined modern wall clock. The dimensions of this design wall clock are 85 cm in diametre. Free 48/72 h delivery in metropolitan France and Belgium to get this nice decorative clock. 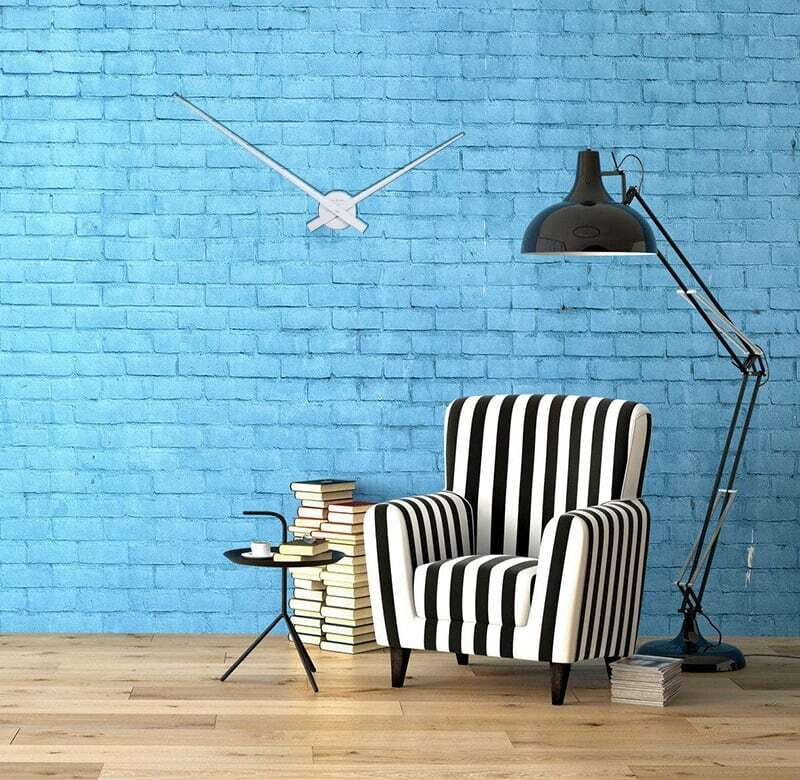 This beautiful giant wall clock will bring a touch of design deco to your lounge. The two long silver-coloured aluminium hands catch the light and fit in all styles of interior decoration. Only the mechanism and hands can be seen, your wall is the face. 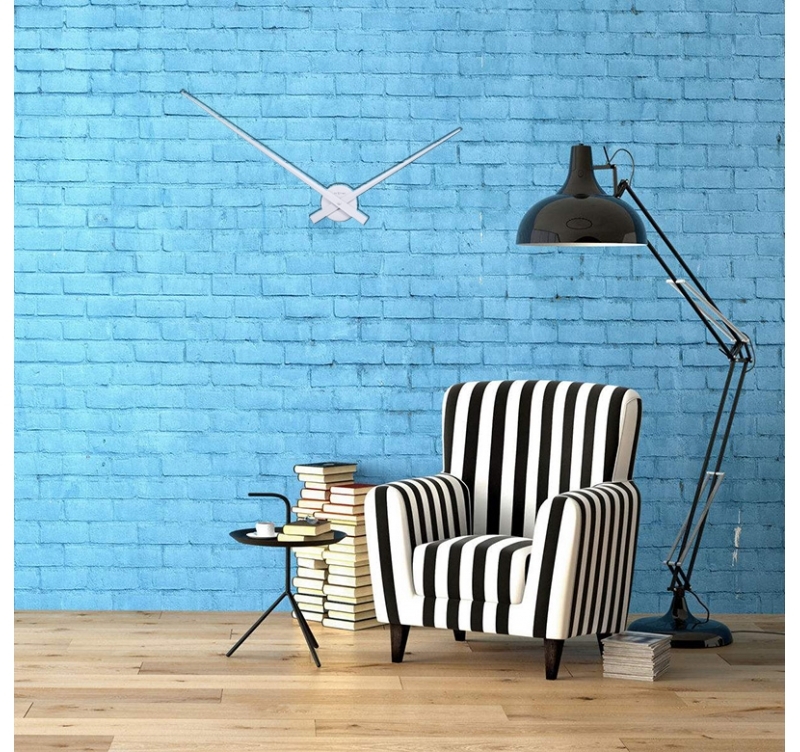 This modern wall clock will fit in a contemporary furniture as well as a vintage decoration. Add a low table with legs in shiny or dull metal, a few silver ornaments to compose a modern and refined atmosphere.